There’s been a lot of action regarding the proposed Lower Thames Crossing recently, therefore TCAG (representing Thurrock) decided to write to all 49 Thurrock councillors on your behalf. As we know they stand united in their opposition to the crossing. We have invited them to provide us with updates on what they have and are doing to fight the crossing, so that we can keep Thurrock residents up to date. 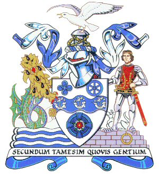 All feedback they provide will be presented to you via this website – We call it Thurrock Councillor Community Engagement. Good Morning Councillors, I trust this email finds you all well! Firstly, The Thames Crossing Action Group (TCAG) would like to reach out to every one of you in thanks for your continued support and hope we can still rely on you as this project increases momentum. In light of the recent red line boundary changes and poor ‘rushed out’ junction designs, we as a united Thurrock would like to ensure fresh information is readily available to everyone. We all need to continue pressure by writing letters to ministers and our MPs challenging them every step of the way! Between us we stand a much better chance of reaching out to everyone in Thurrock, providing residents with relevant key points and facts that effect every one of us, not just those in close proximity to the route. TCAG are disappointed by the lack of engagement from younger Thurrock members, considering they will be the ones living with the Lower Thames Crossing legacy far into their futures. With this in mind, together we need to engage with our primary & secondary schools in the Borough, providing education and gaining their support for our campaign against pollution and loss of our green belt. As Councillors will you approach schools within your wards? Reaching out to governors & school heads – promoting environmental education and the impacts this road will bring. We hope they want the best for all their pupils, not only in education but for their health and wellbeing also. The ironic thing, even on the nspcc website air pollution isn’t mentioned at all!!! This promptly need addressing, considering how we all know scientific evidence exists linking cardiovascular disease, respiratory disease, slow brain development and certain cancers are attributed to breathing polluted air – Thurrock being well documented as ‘significantly worse than the England average’ for all of these health issues complete with significant shorter life expectancy. While schools may think this is a political issue or beyond their remit, we need to ensure this subject is front and centre of information flow within the younger community. I sincerely hope you can make progress in modifying their opinions and approach to air pollution – their longevity relies on it! Please share with us any progress via the TCAG blog and feel free to reach out to TCAG for any assistance you may need in this very important task! TCAG were somewhat shocked at the quotes Mr Gove made during his visit last week. TCAG are keen to hear any questions that were posed to Mr Gove in relation to The Lower Thames Crossing. Especially those Councillors pictured in the photo above. 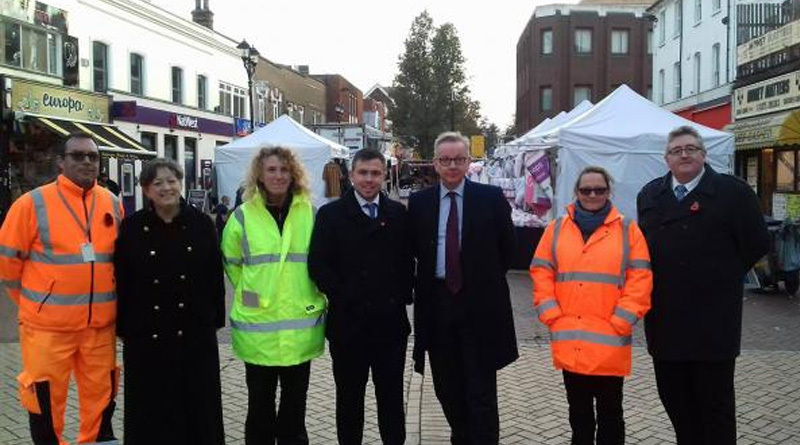 What challenges did you give Mr Gove to ensure Thurrock’s health isn’t negatively impacted by this route? TCAG whole heartedly agree stationary vehicles pose higher pollution issues. Thurrock does need a solution that will overcome the A282 bottleneck we have sitting between the end of the M25 in Essex to where it begins in Kent. The A282 is the bottleneck not being addressed! 14% will not get Thurrock or Kent moving. 14% is not enough capacity being taken away. £10million is not enough funding to tackle the A282 capacity issue. Route 3 is well documented for its huge Greenbelt consumption, its splitting of communities, many homes taken and livelihoods blighted right across the Borough. TCAG will formally pose questions to Mr Gove as we believe his statements in Thurrock are somewhat misleading public into believing this route proposal will get Thurrock moving or will in some way reduce pollution. Yet a 70% increase in Thurrock traffic is predicted, along with it is an amount of pollution, moving or not. In support of the good work you Councillors do within the community, TCAG would like to celebrate this by way of invitation to provide a paragraph summary of things you have done to fight this environmental catastrophe, known as The Lower Thames Crossing. This can take the form of a paragraph of text or we can arrange for audio or video interviews if you feel this would convey your personal efforts better. This media will be collated and promoted in the public domain via the TCAG.info website. We feel this is the least we can do in return for all the hard work you do for us all. Thames Crossing Action Group has been set up by local residents to help get Thurrock Moving again. We Support Growth & Regeneration for the area with Sustainability, Health and Wellbeing in equal measures. We need business for employment and business needs us to prosper. Collectively WE believe LTC Route 3 is the wrong decision for Thurrock, Kent and the UK. We continue to focus on data harvesting and proving our case. We will continue our robust challenge to our government with the community right behind us. We will uncover the hidden facts and ensure the public are made fully aware. We all need to be involved. We’re all in this together! Thanks for signing up to the newsletter, please help spread the word, and keep in touch via social media. We hope to see you on Mon Nov 20th at the LTC Task Force Meeting, and on Sun 26th Nov at the TCAG Community Meeting! Thank you for your time reading this email, we look forward to hearing from you soon!